Applications for a productive workforce. Our workforce management solutions provide companies with an extra measure of transparency when it comes to the daily operations of their mobile teams. Through features designed to make your business even more cohesive, our products can help you continuously save time and money. 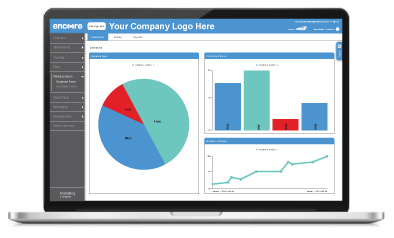 Increase employee accountability through greater insight about daily field operations. Create new, data-driven strategies for higher efficiency. Save time and money while managing your mobile workforce. Save time and money through features designed to make your business more cohesive with an organized, transparent approach to daily operations. Allow staff members to clock in and out directly in the field using mobile time punches. Workers can take breaks and resume shifts from the convenience of their handsets, which eliminates needless trips to the office and streamlines workflows. Save fuel and time by reducing trips to the office. Timekeeping via mobile devices is easy, quick, and accurate. Employees can view their hours worked from their mobile devices. Workers are able to receive digital job updates on the fly, and can visit new job locations with proximity in mind. Job Dispatching reduces barriers to clear directives, shows the availability of staff, and takes the guesswork out of daily initiatives for employees to follow. Workers can get turn-by-turn directions to any job site. Increase productivity with features like Closest To, which allows you to make faster and smarter decisions. Speed up the time it takes to fill out a document, and work together with other employees to complete forms with Form Workflows. Ensure crucial information arrives at the office as the work occurs, allowing for shorter billing and processing times. Increase productivity and accountability with features like Signature Capture, Photo Capture, and Calculations. Barcode Scanning lets you efficiently manage inventory, verify task completion, and even scan staff member IDs for payroll or assignment purposes. This solution enables mobile employees to be monitored geographically while they’re at work. By pinpointing remote staff locations using the power of their mobile devices, workforces can remain on task and be reached quicker than ever in the event of a critical emergency. Verify time spent on-site with up-to-date GPS-based historical records. Enhance safety and increase response times by always having pinpointed GPS locations of workers in the field. Improve customer service by being able to verify workers’ timestamped locations and completion of jobs. Drivers can focus primarily on safe and efficient driving through the use of our Electronic Logging Device (ELD) solution, which is powered by VisTracks. Use this application to take the manual processes out of recording valuable transportation data by automating it entirely. Stay compliant with the most up-to-date FMCSA regulations. Reduce costly fines for inaccurate or non-compliant software. Workers can complete DVIRs using their mobile devices. 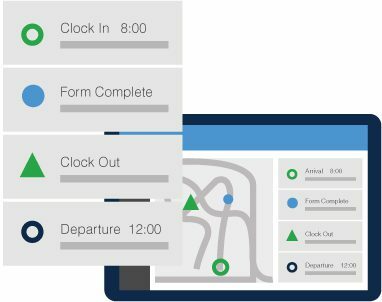 Our Timekeeping solution can let your business make improvements to its bottom line by optimizing workforce productivity, and helping to reduce costly timesheet errors. Survey a comprehensive report of all of your employees’ time cards from within a central web portal, and manage the schedules of your staff accordingly. Save time by updating changes and requests as they occur. Reduce unnecessary spending by increasing the accuracy of payroll with geostamped time punches. Streamline processing times by integrating our solution with your current payroll system. Easily send out new work orders to remote employees from the comfort of your business’s headquarters, and check the availabilities of mobile workers in near real-time. With Dispatching, actively make adjustments to your workforce almost instantly, and increase your company’s efficiency. Increase productivity by communicating instructions to mobile employees as new jobs arise. Reduce fuel costs by assigning tasks to the closest worker and providing the most efficient route. 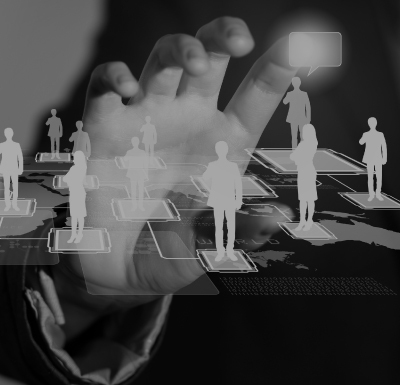 Maximize worker productivity by distributing work orders based on current statuses. Transition all of your company’s paper documents into custom digital forms that your employees can fill out directly from their mobile devices. By using a single wireless system to manage and organize documents, your company can save time, money, and resources, with a consolidated approach to information storage. Create customized digital documents for your mobile personnel to fill out, from the convenience of their handsets. Analyze trends in electronically recorded information from the field. Cut paper costs and make your organization greener. Keep tabs on the near real-time positions of your remote workers, and ensure that they’re where they need to be at all times during working hours. Our solutions’ live view maps display the pinpointed positions of your workforce components, leaving you more in tune with your business’s daily operations. Increase customer service by providing accurate worker ETAs using Live View. Make smarter and faster decisions by reviewing both live and historical worker locations. Improve billing accuracy by reporting actual time spent on-site with customers. Allow mobile staff to clock in and out from their mobile devices, even if they’re in the field. Eliminate needless trips to the office. Efficiently deliver new jobs orders based on proximity and workload, taking the guesswork away from dispatchers. Receive orders directly on mobile devices. Manage employees’ time more efficiently. Save time, money, and paper, plus reduce the potential for errors, by making the switch to digital documents. Send forms to the office almost instantly. Enhance forms with signature and photo capture. Collaborate with others using Form Workflows. Use Barcode Scanning to manage inventory and verify task completion. Pinpoint remote staff locations using their mobile devices to help increase accountability. See worker locations in near real-time. Keep track of new points of interest. Digitally record long-haul driver details using our Electronic Logging Device, powered by VisTracks, keeping compliant with government regulations. Automatically record Hours of Service. Reduce the potential for costly fines. Easily access information for inspections. Improve your business’s bottom line by reducing costly timesheet errors and managing schedules from one central portal. Integrate with existing payroll software. Check the locations and availability of workers in near real-time, and send new work orders from the comfort of your office. Send new job instructions to workers. Easily plan routes to new work zones. Save time, money, and resources by transitioning your company from paper to digital documents that can be filled out using mobile devices. Create customized digital docs, tailored to your needs. Analyze trends from the field. Reduce papers costs and waste. Keep tabs on the near real-time positions of remote workers, making sure they’re on-site as needed. Verify worker locations on a map. Ensure work sites are properly staffed. View employee statuses while on-site. Your newly-optimized workforce awaits. Learn more about how our solutions can improve your team’s daily operations.